VOGN.org • View topic - Official WTF/LOL Thread. It probably will Chris....I can totally relate to that. 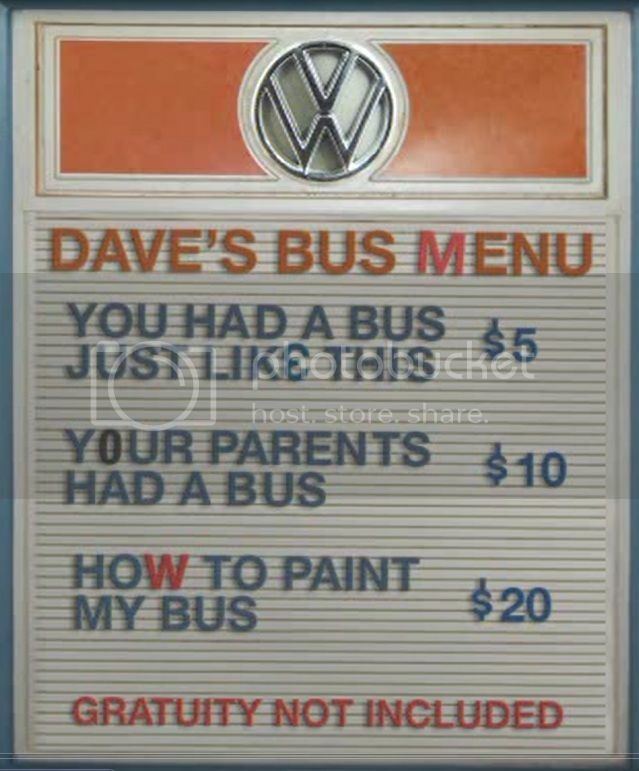 From "The Bus Movie". A split window owner has an idea for a menu for his bus: 'If you want to tell a story of _______ pay ___.' Bus owners will enjoy this. not VW related, but we can close the internet now, it's done. Once upon a time there were fox gti rabbit gli westfalia. sweet mother of head in the arse of jesus! GLI wrote: 10" tube tv.... $75!!! !